Mother Theresas' real name Anjezë Gonxhe Bojaxhiu ( Albanian name ). Anjezë is albanian version of Agnes and Gonxhe means rosebud or little flower. She was born on August 26, 1910 to Kosovar Albanian ( people of albanian ethnicity in Kosovo) parents. Her mother was Nikollë and father was Dranafile Bojaxhiu (Bernai). Education: She was amazed by the works of missionaries in India. At the age of 18, Agnes left her home to join the Sisters of Loreto at Loreto Abbey in Rathfarnham, Ireland. She spent an year ( 1928–1929 )to learn English, with a view to becoming a missionary in India. She took her first religious vows as a nun on 24 May 1931. 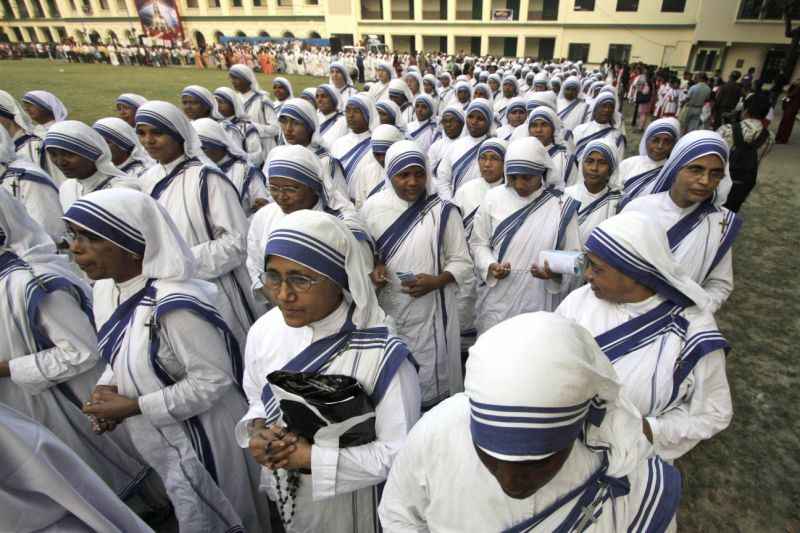 She founded Missionaries of Charity ( MC), a Roman Catholic religious congregation in 1950 with an objective of serving the "poorest of the poor" , MC is active in more than 130 countries. She served as Superior general of Missionaries of Charity from 1950 to 1997. 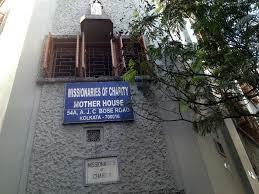 Missionaries of Charity's first house outside India opened in Venezuela in 1965 with five sisters. Now it is running hospices, dispensaries, orphanages, medical care units, leprosy outreach clinics across 130 countries. She received Bharat Ratna Award, the highest civilian award in India in 1980. She received Nobel price for Peace in 1979. 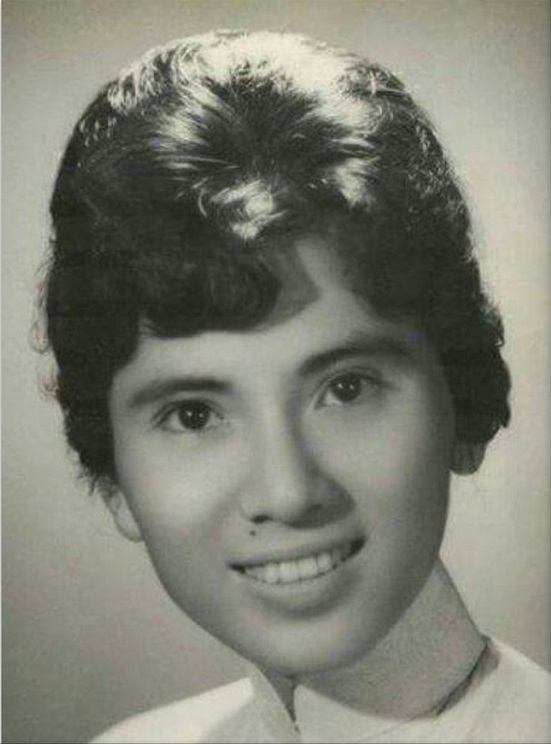 She received Philippines-based Ramon Magsaysay Award in 1962. Mother Teresa's official biography was written by an Indian civil servant, Navin Chawla, and published in 1992. In his book Mr. Chawla tells many stories that you will not find in other writings of Mother Teresa's work. 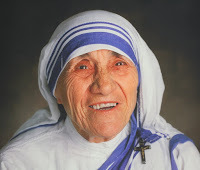 Many authors had penned Mother Theresa's life and work, Click here to check some of those books. Following two heart attacks, in 1989, she received an artificial pacemaker. 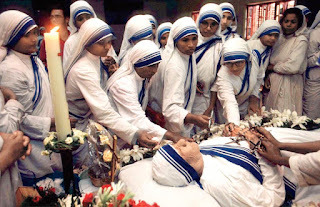 On 13 March 1997, she stepped down from the head of Missionaries of Charity. Mother Theresa passed away on September 5, 1997 at the age of 87 following a heart attack. 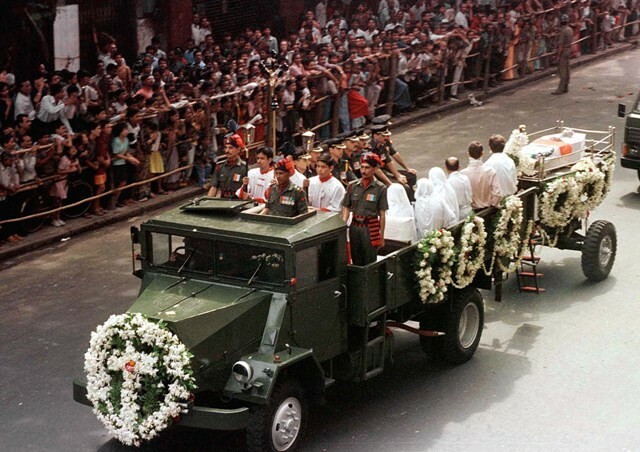 She was honored with a a state funeral for her work and contributions for the Nation. During her life time, she was known as a living saint. 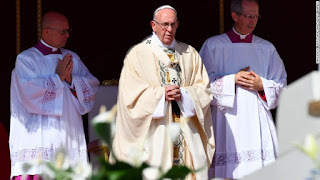 In Catholic church the process of beatification of a person usually starts twenty years after the death of that person and this is a long process which takes many years. In the case of Mother Theresa, Church started this process one year after her death. Many matters are considered and scrutinized before a person is declared as a saint. The miracles happened though the intercession of that soul is also considered in this process. In 1998, one year after her death, her intercession reportedly cured an Indian woman of a stomach tumor. This was officially recognized by the Vatican and counted toward her beatification. Mother Theresa was canonized after 19 years of her death. During her life time she was know as a living saint, Saint of the gutters, Mother of the Poor. Her life began in Skopje, Yugoslavia, and ended in Calcutta ( Kolkotha). She served as a living example to others. 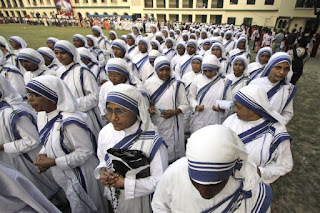 Today through her powerful intercession, she encourages every one especially her Missionaries of Charity to embrace their vocation as a gift from God and to use it as inspiration for the work they are doing for the well being of the poorest of the poor.